With March Madness in the air, I can't help but recall one of my favorite NCAA Tournament memories that occurred while I was running the campus visit program at the University of Vermont. It was March 18, 2005 and the #13 seeded Vermont Catamounts were playing the #4, and heavily favored, Syracuse Orange. The Catamounts were led by seniors, Taylor Coppenrath, T.J. Sorrentine, and Germain Mopa-Njila and coached by the colorful Tom Brennan. The entire team played the game of a lifetime and upset Syracuse to advance. A deep three pointer in overtime by T.J. Sorrentine and the call by play-by-play announcer Gus Johnson, "from the parking lot", will forever be one of the great moments of NCAA Tournament history. One of our student leaders of the tour guide program, Eric Little, was from Vermont and in attendance for this legendary game. In fact, I remember CBS showing clips of the crowd and seeing Eric going crazy. Eric and I shared many Catamount games together in Patrick Gymnasium and it was clear he was very passionate about a career in sports. Eric followed this passion and obtained a master's degree in sports business from the University of Central Florida. 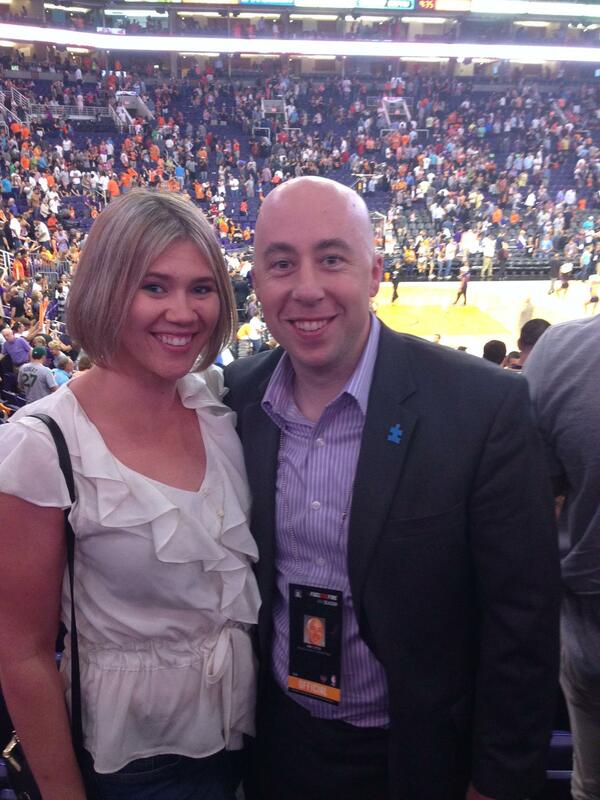 He currently works for the Phoenix Suns organization as the Senior Director of Membership Experience. During a trip to Phoenix last year, I had the chance to catch Eric in action and attend a game. 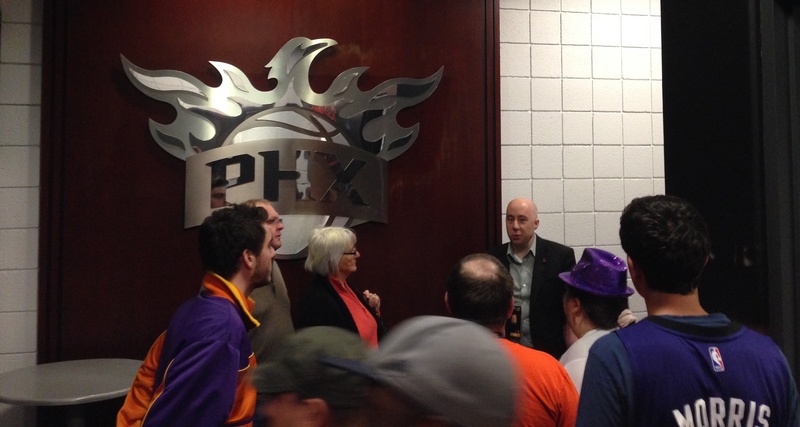 As part of his role, he tours season-ticket members and VIPs behind the scenes of the Suns facility and locker room. It was unique to see a former tour guide still leaving lasting impressions on the visitors he was engaging. Eric not only was a great tour guide while at the University of Vermont, but he was a great leader as well. 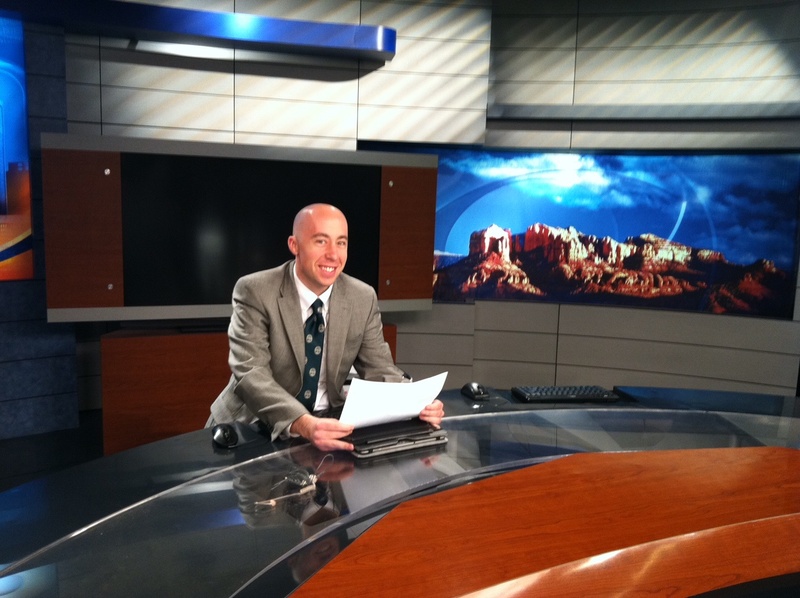 Eric is a phenomenal example of a former college tour guide following his passion in life. In a recent chat with Eric, he shared some great words of wisdom for campus tour guides and prospective students in the college visit process. It’s the people side of it – both internally with my staff and colleagues plus externally with our clients and fans. The pace is very fast and no two days are the same. I love being in leadership/management because I get to help grow the careers of individuals on my team. I also get a lot of joy out of working with our most passionate Phoenix Suns fans. I’m an early riser and like to go running in the morning. Getting ready for work in the morning with my fiancé, Rachel, and our two dogs, gets the day started right. The workday is very fast and exciting, which is one of the reasons I love it. In the evenings, I unwind at home with Rachel, catchinging up on our favorite TV shows and sports. I also play guitar and banjo and sing, so I enjoy relaxing with that hobby. I look back on it now as the best sales and customer service training I’ve ever had and the foundation of my career. To give a 90-minute tour of campus is making a presentation that sells yourself and the university while taking questions and thinking on your feet throughout. I would also add that some of my best friends in life were tour guides with me in college so that’s something that extends beyond my career into my personal life in an amazing way. I think it’s all about finding the right fit for yourself so I’d recommend taking some surveys in advance to identify what is most and least important to you in your search. There are so many resources online. I’d recommend some research before starting the visits. When you are on campus, make sure you talk to current students and faculty - this is a must in determining if the fit is there. There is no substitute for experiencing it all in-person. Every tour is someone’s first impression of the university and you. That’s a huge responsibility; it’s more than just a job! Your opening is essential to getting the tour started the right way because it sets the tone for the next 60-90 minutes. You have to bring your personality and experiences to the table, in order to make a connection. Your goal is to learn more about the people on your tour and what makes them unique. Those connections with people and lessons learned will carry with you throughout your life, personally and professionally. I’m getting married in September to Rachel, who is the love of my life. Every moment spent with her from planning our wedding and honeymoon in Italy to spending time with her family and mine to playing her guitar to planning our lives together brings me immense joy. I’ve never been happier!